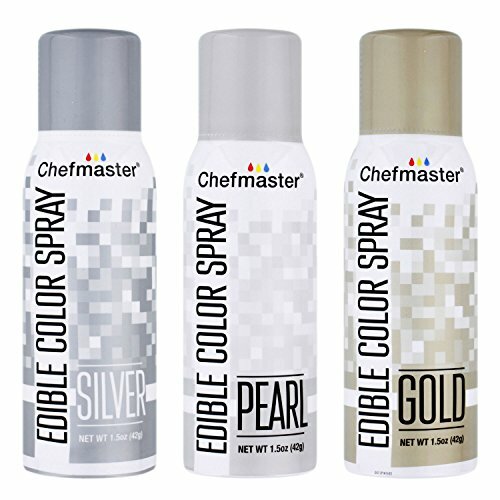 U.S. Cake Supply by Chefmaster Edible Spray Cake Decorating Color Metallic Theme 3-Pack - 1.5 ounce Cans (Gold, Silver, Pearl) by U.S. Cake Supply at My Beautiful Cake. Hurry! Limited time offer. Offer valid only while supplies last.